Kay Toran was the second youngest of four children in her family. She was born in Birmingham, Alabama where her parents, Benjamin and Mary Rose Dean had also grown up. However, in the 1940’s during the Great Migration (1916-1970), many African American families moved from the south to all other parts of the country, including the Pacific Northwest, seeking better opportunities in what they hoped to be areas free of racism, discrimination and prejudicial practices. They left their extended families in hopes for a better future for themselves, their children and grandchildren. In Portland during World War II, the call went out that workers were needed to build ships for the war effort. Many African American men answered that call and Benjamin Dean, Toran’s father, was one of those men and, because of his skills he learned at his Birmingham high school such as welding, drafting, and accounting he was able to be successful in many avenues of employment. His first job in Portland was welding and building ships and then after the war ended he became a janitor. Many families left Portland at that point, however, Dean didn’t stop there. He went onto drafting up plans for a beauty salon and barber shop. Toran’s mother was trained as a beautician at Madam C.J. Walker School of Beauty and had been operating a salon out of their home. 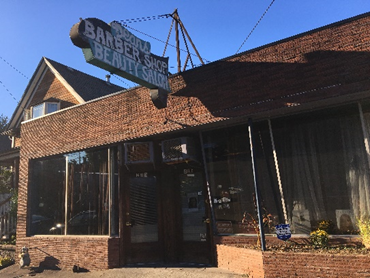 With a more permanent building in mind, they opened up Dean’s Beauty Salon and Barber Shop which is still in operation today and located at 215 NE Hancock Street between Union Ave (now MLK Blvd.) and Rodney Avenue. It is the oldest continuously operating Black owned business in Portland spanning three generations. Dean’s granddaughter now runs the shop. flood even more moved into Albina. It was a real close knit community. Everyone knew each other and took care of each other,” says Toran. She attended the Eliot grade school, her neighbors were all Black, “except for one white family who had a boy named Billy.” The residents attended primarily black churches like Mount Olivet Baptist Church, Vancouver Baptist, and Bethel which was where Memorial Coliseum is today but it had to move further north because of Urban Renewal when the coliseum was constructed. She participated in activities at the YWCA which is where the Billy Webb Elks Lodge is today at 6 N Tillamook Street at N Williams. 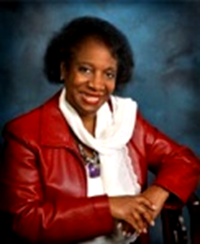 It was run by Gladys McCoy who went onto become the first elected African American school board member and then ultimately elected as Chair of Multnomah County. Her husband Bill was elected to the Oregon House of Representatives. Toran remembers being a child in Eliot and waiting with anticipation to be old enough to go to places like the Knott Street Community Center with the older kids to the Friday and Saturday night dances and, even more exciting, the Cotton Club. However, the Cotton Club closed down before she was able to go. The Knott Street Community Center (originally at Tillamook and Williams home next to the YWCA and now the Elks Lodge) moved to Holladay School which is where Dishman Community Center is today at Knott and Rodney. The old school building was torn down and Dishman was built. Toran went to Washington High School, University of Portland and eventually onto Portland State for her Masters of Social Work. She emphasized what a great school district Portland Public Schools was and especially Jefferson who has many noteworthy African American graduates such as the former Ambassador of the UN, Edward Perkins. Another African American, Matthew Prophet, Superintendent of Portland Public Schools was another highly successful leader. Kay Toran has an extensive resume. Working as the Assistant to Governor Vic Atiyeh she served as the State’s Director for Affirmative Action. She also was the leader of the Oregon State Services to Children and Family, a post which she held longer than any other person in state history (PSU Alumni Profiles). In her commencement address for Central Catholic this past June, Toran stated, “My lifelong career commitment is to have the courage to be an advocate and activist for those in need. My lifelong commitment is to make a positive difference to the most vulnerable in our community.” Appropriately, since 1999 she has been working for Volunteers of America as the President and CEO. She has found satisfaction in this organization as it provides a way for the clients of the programs to help themselves reach their full potential rather than just handing them a check. I love this. Thank you for this wonderful post, Sue, and thank you to Kay for sharing your story! I have often passed by Dean’s Barber Shop and wondered about that sweet portrait of the couple in the window – maybe Kay’s mom and dad? They look so in love.